Boston born, Alan studied pre-law, art history, and clinical psychology at the University of Virginia before dropping out at the end of his second year to go on to become one of the first Westerners to ordain as a Buddhist monk in Burma, where he lived in a monastery from 1979 to 1984 — when forced to leave the country by the dictator, with no reason given. While in Burma, Alan trained at the Rangoon Center for Advanced Buddhist Studies, specializing in Buddhist psychology and mindfulness (vipassana) meditation, under the guidance of the late Mahasi Sayadaw, and his successor, Sayadaw U Pandita, teachers of great renown. Alan has also led a revolutionary life, working as a journalist, photographer, human rights activist, and the author of a number of books and films. In addition, he is the co-founder of a nonprofit organization, The Buddha Sasana Foundation, and its sister organizations, The Burma Project USA and World Dharma with World Dharma Publications and the World Dharma Online Institute dedicated to the exploration of human intelligence, freedom, and the imagination with the arts and activism. He has toured widely as a presenter and retreat leader, and also as a theatrical monologist, specializing in spiritual and political satire and comedy that ignites conscience. His presentations confront a central question of our time: how to live an authentic conscious life while transforming the real conditions of the world through compassionate action. Alan is no stranger to struggle. In 1990, he undertook a dangerous two-month journey into the dark heart of Burma—at a time when Burma’s ruthless military regime had closed the country’s borders, prompting the BBC to call Burma a “land of 40 million hostages.” There, he spoke with hundreds of ordinary citizens, as well as freedom fighters and with Burma’s Prime Minister, who had fled with other elected officials fled into the mountainous jungles of northeastern Burma. Alan thus became the first journalist to witness and document the grave human rights atrocities perpetrated by the military dictatorship, including the “ethnic cleansing” of the country’s Karen and Shan minorities. Alan’s experience during these months led to his first book, Burma: The Next Killing Fields? (with a foreword by the Dalia Lama). 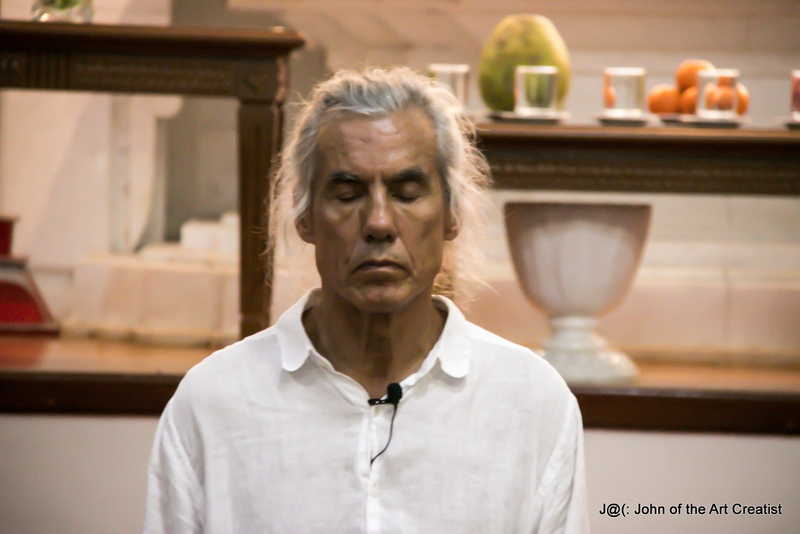 Soon after, Alan was invited by a senior officer of the United Nations to travel to the former Yugoslavia, where, based in Zagreb, he consulted with NGO’s and U.N. personnel on the possibility of achieving spiritual, social, and political change through an understanding of human consciousness. Also at this time, Alan was commissioned by Robert Chartoff, the producer of The Right Stuff, Rocky, and Raging Bull, to write Burning, an original screenplay exploring the complexity of love and nonviolence in the context of terror and war. Clements is also the co-author (with Leslie Kean) of Burma's Revolution of the Spirit: A Nation’s Struggle for Democracy and Freedom, a large-format photographic book (Aperture Foundation, New York), and he served as script revisionist and advisor for Beyond Rangoon, a feature film depicting Burma’s struggle for democracy, directed by John Boorman. In 2002 Alan wrote Instinct for Freedom—Finding Liberation Through Living (World Dharma Publications), a spiritual memoir about his life in Burma and chronicles his pursuit of truth and freedom while illuminating the underlying framework of World Dharma. Instinct for Freedom was nominated for the best spiritual teaching/ memoir by the National Spiritual Booksellers Association in 2003 and has been translated into a numerous languages. In his work as a spiritual activist, journalist and teacher, Alan has presented to such prestigious organizations as Mikhail Gorbachev’s State of the World Forum, the Soros Foundation, the United Nations Association of San Francisco, and the universities of Harvard, California, Toronto, Sydney, and many others; and in 1991 he gave the keynote address at the John Ford Theater for Amnesty International’s 30th anniversary. — Robert Chartoff, Producer of Rocky, The Right Stuff, and Raging Bull. — Jack Healy, former director of Amnesty International, founder of the Human Rights Action Center.